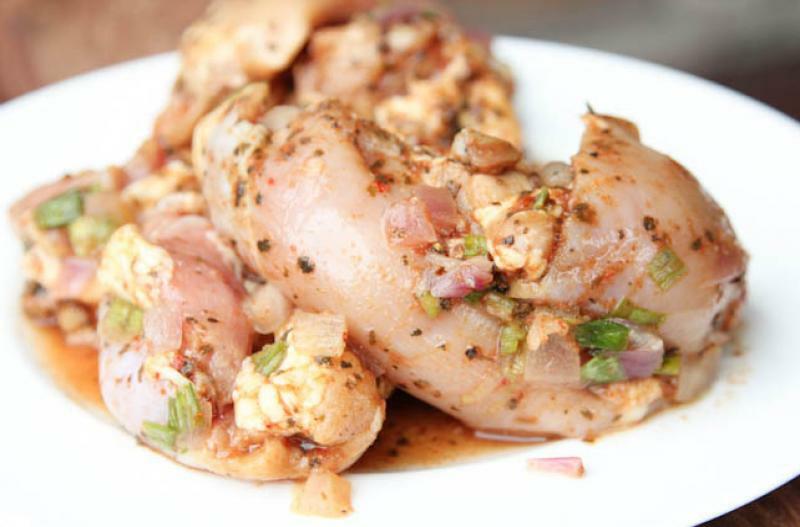 This might be the most delicious marinade for chicken thighs that exists! Serve with your favorite keto sides for complete keto meal. Add the chicken thighs to a shallow baking dish or small roasting pan and sprinkle salt and pepper over the chicken. In a mixing bowl, add the olive oil, orange juice, juice from lime, juice from lemon, oregano, ground cumin and paprika. Add the crushed garlic cloves and red onion, then whisk well. Pour the marinade over the chicken in the shallow dish. *Let marinate for at least 30 minutes in the fridge. Roast the marinated chicken for 35 to 40 minutes, or until golden brown on top and chicken is cooked through. Cooking time may vary depending on thickness of the chicken. 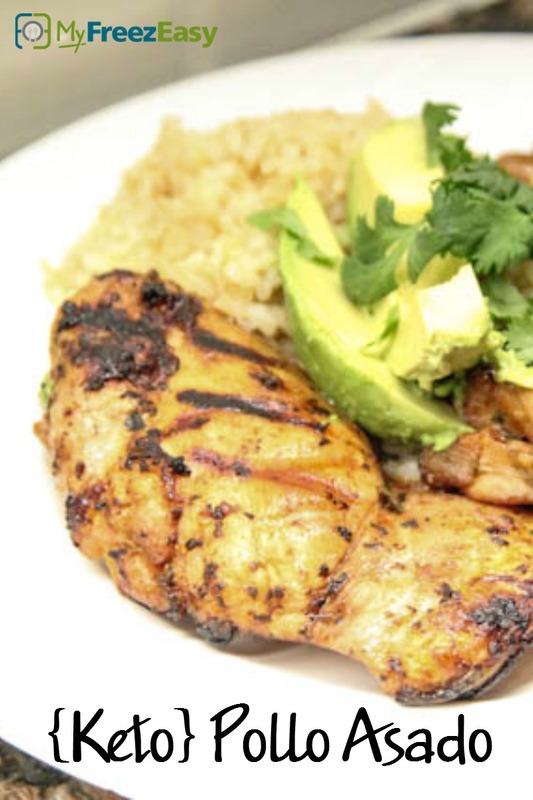 Serve Pollo Asado with cauliflower rice and veggies. Halve 2 lemons and 2 limes. Finely chop 1 small red onion. Crush 8 cloves of garlic. In a mixing bowl, add 6 Tbsp olive oil, 1 cup orange juice, juice from 2 limes, juice from 2 lemons, 2 tsp oregano, 2 tsp ground cumin and 2 tsp paprika. Add the 8 crushed garlic cloves and chopped red onion. Whisk well. Put baggie in the freezer and freeze up to 6 months in fridge freezer or 12 months in a deep freezer. Thaw in the fridge overnight, or a warm bowl of water for about 20 minutes, before transferring to baking dish or roasting pan. Bake as directed. Alternative Cooking Method: Grill the thawed chicken for 15-20 minutes, or until cooked through. Cooking time will vary depending on thickness of the chicken and heat level on the grill. Add contents of baggie to baking dish. Roast the marinated chicken at 400 F. for 35 to 40 minutes, or until chicken is cooked through.